of artist or first letter of band name. 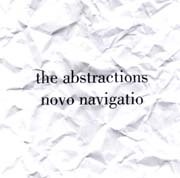 Novo Navigatio (New Journey) is the Abstractions' third release of innovative and cutting sonic landscapes. This is "Vision music" that consists of a colorful orchestration of vocals, saxophones, guitars, percussion, strings, electronics and more. Also included is the wonderful sinking commentary about the disillusioned atmosphere of the current political climate we live and breathe in today’s world. On this release Amlee adds acoustic guitar to the proceedings, to wonderful effect. 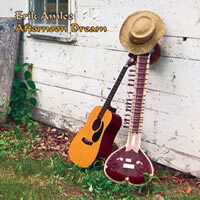 Afternoon Dream is a masterful combination of trance inducing solo sitar work and pellucid acoustic guitar pieces, with a subversive loop or two thrown in to ensure that listeners don’t merely drift away completely into a blissful sonic netherworld. Music after the 1925 novel by Virginia Woolf, adapted by Phillip Greenlief and co-created by the trio. 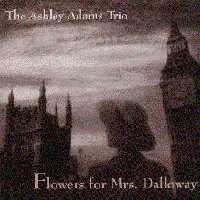 Using Virginia Woolf's Mrs. Dalloway for a foundation of form and characterization, the trio improvises its way through Clarissa Dalloway's "day in the life" in London, using different instruments to bring to life different characters and their manifold epiphanies. The debut release of Gustavo Aguilar's Get Libre Group brings together prominent creative voices in improvised music from Northern and Southern California. Destinations explores a variety of compositions designed to highlight improvisation. Their preservation exists neither on paper, nor even on the recording itself, but within the space, place, and time of their realizations. These compositions are a study in organic awareness in the sense that the trail they leave in their wake gives musical form to the resonance between order and disorder. 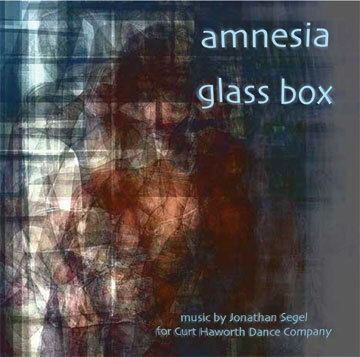 Music for Curt Haworth Dance Company performances at Danspace in New York. Composed by Jonathan Segel. 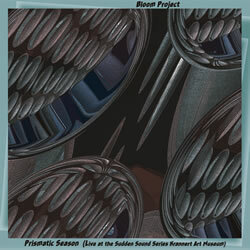 In October of 2006 the Bloom Project performed at the Sudden Sound Series presented by the Krannert Art Museum in Champaign/Urbana at the University of Illinois while on their first tour through the heartland of the United States. The live CD recording features the group's signature wide ranging free group improvisations as well as some of the textual and graphical scores from their first CD 'Bloom'. The album also features the debut sound recording of instrument inventor Steven Baker's challis drone as a closing track recorded in Pacifica California in 2007. 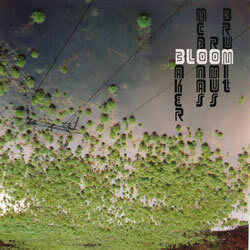 'Bloom', a spirited and colossal collaboration between pianist Thollem Mcdonas, multi-saxophonist and electronician Rent Romus, instrument builder Steven Baker, and drummer and found-object player Jon Brumit. 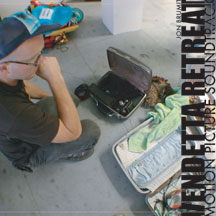 The CD features free group improvisations as well as interpretations of numerous textual and graphical scores offered up by Mcdonas and Brumit. The entire album is an organic construction and expression of solos, duos, and trios combining disparate and divergent stylistic histories with a sense of refreshing immediacy, intensity, and spontaneous inventiveness. 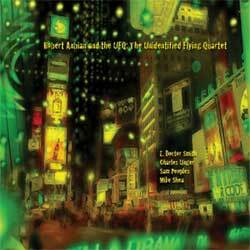 Saxophonist's newest album moves freely between moments of introspection and delicate interplay to intense exploration and cathartic abandon features collective improvisations with another all-star cast of musicians, including George Lewis, Anthony Davis, Bertram Turetzky, Robert Reigle, Andy Connell, and Circumvention artists Jason Robinson, Gustavo Aguilar, and Nathan Hubbard. 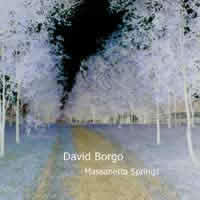 Massanetta Springs, the second release as a leader by saxophonist and composer David Borgo, explores a variety of ensemble configurations -- from intimate solo and duo moments to full-on sextet arrangements -- and a broad palette of colors, textures and emotions -- from the post-bop robustness of Only in My Dreams to the provocative interjections of Oddity, from the delicate romance of Duke's Ellington's Sound of Love and In This Life Till Now to the gregarious interactions of Conference of the Birds and Pomodori, and from the earthiness of Scomotion to the subtle complexities of Heron Pool and the title track. Multi-artist C.J. Reaven Borosque pulls no punches with her first release of solo guitar saturated in noise, distortion, and looping. C.J. 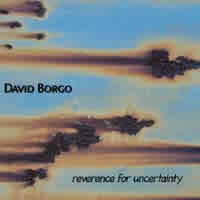 Reaven Borosque is a San Francisco Bay Area guitarist, writer, and abstract visual artist. Coming from a family of “jazz” musicians, she began playing violin at the age of five, moving to the saxophone in her teens. After a brief hiatus from music she found her true love, guitar. Her preferences lie in a multitude of genres, with emphasis on experimental music and noise, using both de-tuned, and prepared guitars. She has performed with Kaylee Coombs in the ambient experimental duo Swoon Doll, Rent Romus' Lords of Outland and John Berndt among others. Her recent noise CD, “Machine” has recently been released on Edgetone. 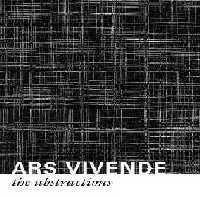 This album is her solo debut as a noise artist. Critically acclaimed oboist, electronic musician, and composer Kyle Bruckmann, a fixture in Chicago's thriving experimental music underground, teams up with San Francisco Bay Area luminary musicians Ernesto Diaz-Infante (acoustic guitar), John Shiurba (electric guitar) and Karen Stackpole (percussion). 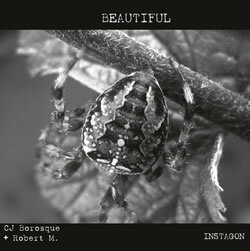 This CD combines the discipline of a classical foundation, weaving together American free jazz and European free improvisation, with the raucous sensibilities of Dada and punk in a dizzying variety of artistic endeavors. 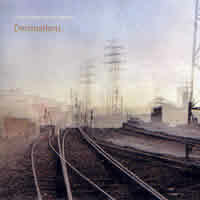 Jon Brumit's composed and improvised music incorporating percussion, electronics, sampling, found objects, and signal processing has been labeled "physically debilitating" and "intellectually refreshing" by art critics, and his performances have been declared "disarmingly powerful" and "extremely adventurous and explosive [for ambient music]" by rock and noise musicians. Not bad for an artist whose last release was made entirely with garbage from the San Francisco Dump. Vendetta Retreat is an amalgmation of Jon's sound and visual explorations. Set to a Motion Picture yet to be made, Jon plans to create the visual project based on clips supplied by anyone wishing to contribute. Jon Brumit's Web Site. Deadline for submission is July 3 2006. 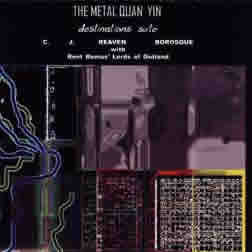 This album was recorded at the San Francisco Dump entirely from items collected at the dump. 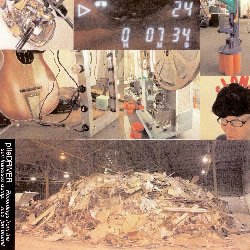 As an artist-in-residence at the San Francisco dump, for example, Brumit made a CD in 2002 called "Piledriver," which samples the sounds of discarded objects including clock radios, bowling balls and a 16 mm movie projector.